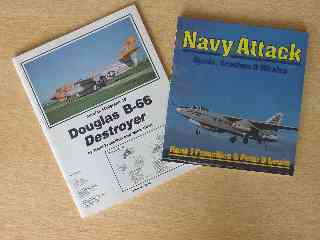 The Hasegawa kit of the Douglas A-3 Skywarrior was issued around 1998. 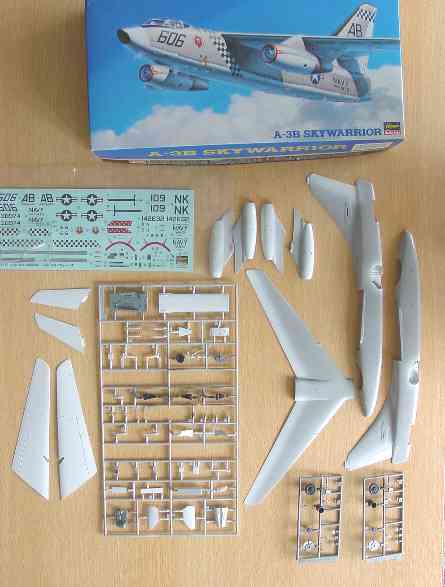 Previously, only some very old kits such as from Revell in an odd scale were available and a Rareplanes 1/72 vacuform model. 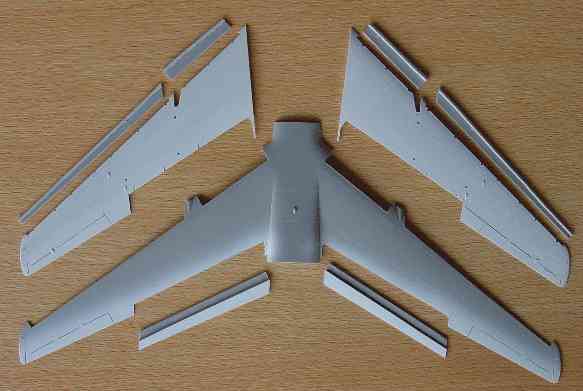 The Hasegawa kit is excellent although rather simple with only the major parts being provided in this quite expensive kit. The kit, no. K41 depicts a A-3B Skywarrior of the US Navy with a choice of decals for a VAH--11 and a VAH-10 aircraft of the US Navy in the common gull grey /white scheme. The 1/72 kit has a very good fit and good panel details and will get you a nice quite big model. Looking at pictures it was seen that every Skywarrior standing at the platform or carrier deck have their slats and flaps extended because of the lack of oil pressure. So it was needed to cut out all slats and the inner flaps. 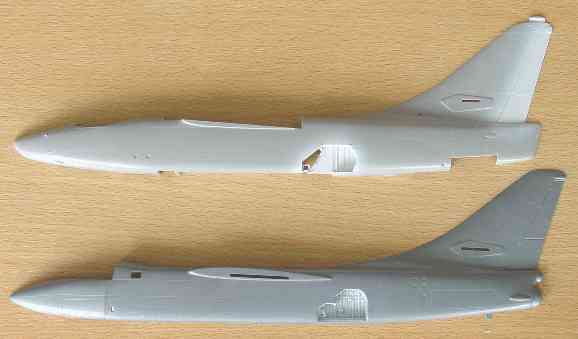 To do some more detailing also the two rear fuselage air brakes were opened by cutting open the bays in the rear fuselage area. 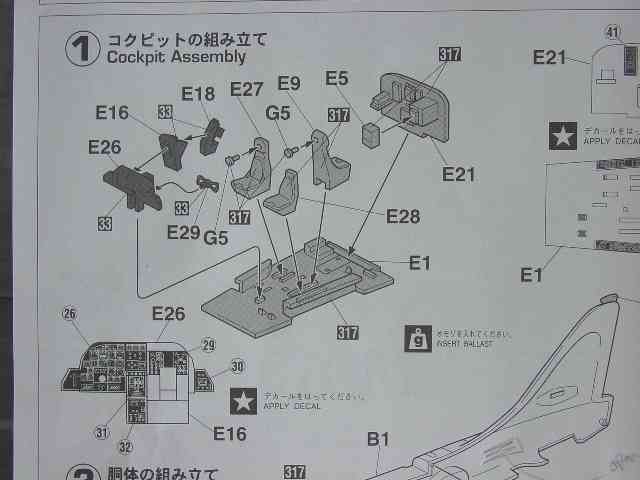 Also, the crew access ladder is provided opened in this kit so it was decided to open the hole in the cockpit floor and to detail the cockpit also. To have something to be seen later on, also opened up the sliding hatch in the upper cockpit glazing. Be carefully when making a cut in the glass! 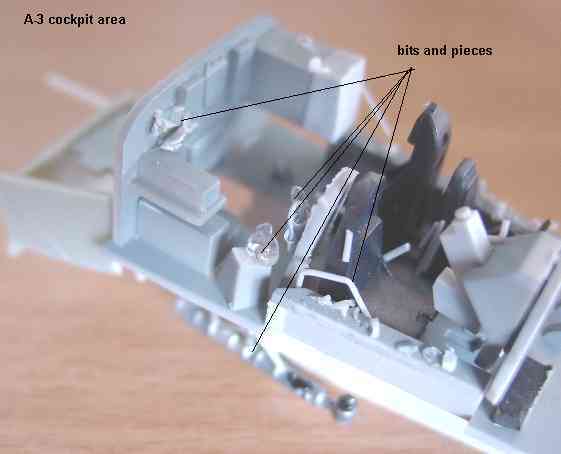 The cockpit area was detailed with some sprue and pieces of plastic with the lower area near the hatch also being detailed with some scraps and pieces from the spares box. The opening within the main undercarriage bay giving a see "through" effect could not be seen in pictures so the hole as covered. The changes are done on the main parts so the next step is to glue the main parts together in next stages. Detailing was done on the A-3 by cutting also out the air brakes. Plastic pieces of cart cover the holes with some panels being inscribed . I assembled the A-3 and this gave no problems. 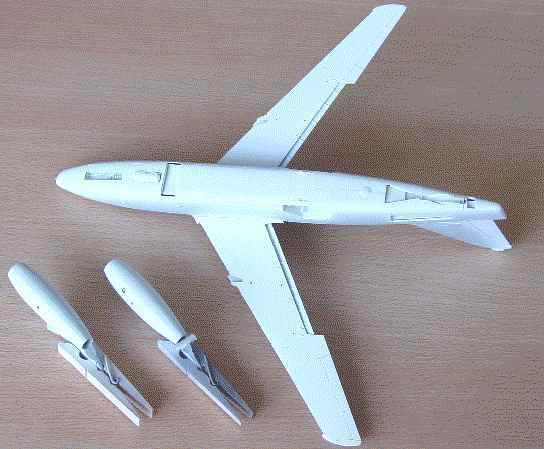 The A-3 Skywarrior was given its white underside colours and the upper FS36440 gull grey coat. I sprayed a lot of models at the same time, namely the A-3's, A-4's, F-14 and parts of the A-6 intruders.... this saves lots of time! 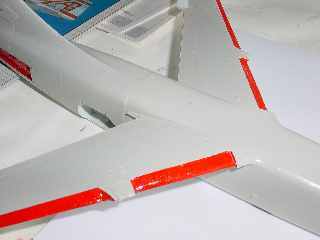 The slat leading edge areas undercoat was also made white and painted red later on. Cockpit now awaits the seat belts and the instrument decals. The canopy will than be fitted with some white glue to fill up the gaps and the edges/framing painted.